Vuminkosi Zulu was born to Solomon Godongwana and Frida (MaMhlongo) Zulu. He started his primary education at Mthombeni Primary School, Maphumulo, in 1960. Here he was selected as the best artist in an inter-school art and craft competition in 1965 and continued developing his talent thereafter. His father, a fruit seller, could keep him at school only up to Standard 7 at Kranskop Secondary School near Ntunjambili. Before he finally ended his schooling, Vuminkosi did odd jobs for a local Muslim businessman at Silverstream general trading store, near Kranskop, so that he could earn money for extra school expenses. In 1970, when he attended the Evangelical Lutheran Church Art and Craft Centre at Rorke’s Drift, he befriended Judus Mahlangu (qv.). A German Lutheran priest named Hans Blum first saw Vuminkosi’s wood sculpture when he attended a South Eastern Diocesan Council meeting at Umphumulo Church Centre at Maphumulo in 1971. He liked the work and considered buying it because of its religious content and the remarkable skill with which it had been executed. However, he still had to consider if he could afford to pay the R20 price on it before his return to Swaziland, where he was stationed. When he finally met Vuminkosi, he began to collect his work (both sculpture and prints) either directly from him or through the African Art Centre in Durban. This friendship was destined to take Vuminkosi’s career a step further in terms of international exposure. Blum admired Vuminkosi’s art so much that he felt he could use it to illustrate his sermons. He also wanted to feature examples in exhibitions that he arranged with the Museum für Volkerkunde in Frankfurt am Main, West Germany. Blum’s conviction was that while European missionaries had proselytised southern Africans, Europe had much to learn from the visual sermons from Africa; there was, he felt, a potential reciprocity that could not go unnoticed. During his stay and study at Rorke’s Drift, Vuminkosi also met Klaus Wasserthal on whose farm near Pretoria he later resided and worked as an artist in the mid-1970s. From 1972 to 1974 Vuminkosi worked at Rorke’s Drift as a resident artist and an apprentice weaver. It was during this time that he won the Hajee Suliman Memorial Award in 1973. In 1974 his work was selected for the Black Art exhibition which was sponsored by the Programme for Social Change and Devcraft, held at Diakonia House, Johannesburg. During the same year he also executed a monumental sculpture, The Battle of Isandlwana for the KwaZulu Government Legislative Assembly in Ulundi. When he left Rorke’s Drift he joined Judus Mahlangu in Springs on the East Rand in the following year. As a parting gift when he left the Centre, he was given a small printing press by Otto Lundholm, teacher of intaglio printing. In 1976 his work was selected for the Black SA Contemporary Graphics show at the Brooklyn Museum and Public Library, New York, USA. After this major break, Vuminkosi’s work was selected for SA Graphic Art, touring West Germany in 1978-1979 through the offices of Hans Blum. In 1979 he also held a joint exhibition with Judus Mahlangu at the Barclay Square Shopping Centre, Pretoria. Back in the KwamXhosa area of KwaZulu-Natal from the beginning of the 1980s, Vuminkosi continued producing work for shows and sales on consignment at centres such as the African Art Centre in Durban. In 1985 he received a commission from the Mariannhill Catholic Monastery and also met Prof. Denys and Else Schreiner of Pietermaritzburg who started to collect his work. It was also during this period that even local people, including his former schoolmate, Inkosi (Chief) Khomba Ngubane of the amaBomvu Tribal Authority, commissioned him to carve utilitarian wooden pieces. Another commission, the Totem pole, which is held by the University of KwaZulu-Natal, Durban, was executed in 1988, two years before he left for Vrededorp, Johannesburg. Here he worked at Squzu Printmaking Studio which was run by a fellow past student of the Rorke’s Drift Centre, Dumisani Mabaso. In 1991 he won a scholarship, through the Thupelo Workshop, to attend printmaking and sculpture classes at Orebro in Sweden for six months. He also made ceramics while abroad. When he returned from Sweden, Vuminkosi exhibited his work in a joint exhibition with Raphael Magwaza at the African Art Centre, Durban. Here he received a R1000.00 prize for his print entitled African women dressing traditionally. It was at this point that he met Malcolm Christian, master printer of the Caversham Press and director of the Educational Trust. In 1995 Vuminkosi exhibited on The Spirit of our Stories exhibition at the Standard Bank National Arts Festival, Grahamstown. His works on the show were King Manqoba (a colour screenprint) and The Monkey and the Crocodile (a black and white linocut), both produced at The Caversham Press. Vuminkosi and Christian had made plans for an exhibition that would be held at the next Standard Bank National Festival, Grahamstown, but this did not materialise. Vuminkosi was diagnosed with a tumour on his jaw which turned out to be malignant. Before he died on 14 November 1996 in the Edendale Hospital, Pietermaritzburg, Vuminkosi granted Christian permission to make reprints from the plates that he had brought up to the Caversham Press and requested that he arrange a posthumous exhibition that would generate some income for his wife and his five children, Sibusiso, Philile, Nkanyiso, and the twins Nhlanhla and Sinenhlanhla. Vuminkosi had always aspired to share his artistic knowledge and skills with younger artists. His local Inkosi, Khomba Ngubane, also nurtured the idea of a community museum that would preserve and exhibit examples of Vuminkosi’s work. Sadly, Vuminkosi’s untimely death seems to have thwarted any such plans. 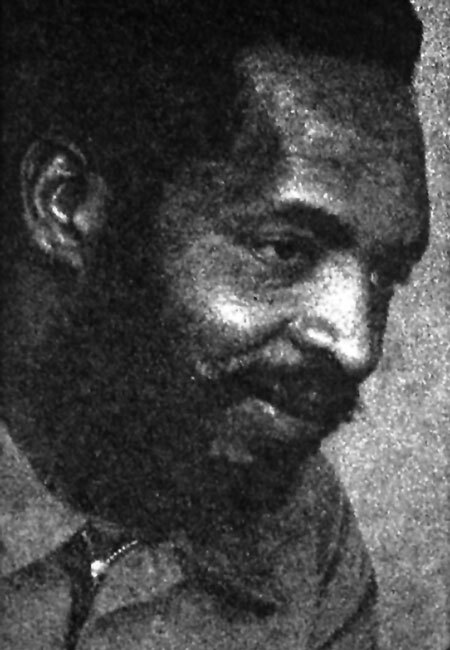 born Maphumulo, KwaZulu-Natal,1948; died Pietermaritzburg, 1996. Training 1970 -1972: Attended the Evangelical Lutheran Church (ELC) Art and Crafts Centre, Rorke’s Drift. 1972 -1974: Worked as resident artist and apprentice weaver at ELC Art and Craft Centre. Exhibitions 1973: Art SA Today, Durban Art Gallery 1974: Black Art, Diakonia House, Johannesburg (sponsored by the Programme for Social Change and Devcraft). 1976: Black South African Contemporary Graphics, Brooklyn Museum and Public Library, New York. 1978 - 1979: SA Graphic Art 1977, West Germany-tour. 1979: Joint exhibition with Judus Mahlangu, Barclay Square Shopping Centre, Pretoria. 1984: African Arts Festival Exhibition, University of Zululand. 1987: Rorke’s Drift Fine Art School in Retrospect, Tatham Art Gallery; African Arts Festival Exhibition, University of Zululand; University of Zululand Arts Festival Exhibition, NSA Gallery, Durban. 1988: Wood Exhibition, Iziko South African National Gallery, Cape Town. 1989: Vulamehlo: group exhibition at Durban Art Gallery/ Alliance Francaise. 1991: Joint show with Raphael Magwaza, African Art Centre, Durban. 1992: Group exhibition; Alliance Francaise/Durban Art Gallery. 1995: The Spirit of our Stories, group exhibition, Standard Bank National Arts Festival, Grahamstown (through The Caversham Press). Awards 1973: Art SA Today: Hajee Suliman Ebrahim Memorial Award. 1982: University of Zululand (first prize for sculpture). Collections Durban Art Gallery; Tatham Art Gallery, Pietermaritzburg; Killie Campbell Collections, Durban; Assembly Hall, former KwaZulu Parliamentary Building, Ulundi; Museum für Volkerkunde, Frankfurt am Main, Germany; Iziko SA National Gallery, Cape Town; University of KwaZulu-Natal, Durban; UNISA Art Gallery, Pretoria; University of Zululand, Empangeni. Commissions 1985: Commission for Mariannhill Monastery. 1988: Commission for the University of KwaZulu-Natal, Durban campus. The Evangelical Lutheran Art and Craft Centre at Rorke’s Drift played a major role in shaping Zulu’s art. Being a Christian foundation it exerted a considerable influence on the students. Staff and students attended formal services every Sunday, and their daily programme was punctuated with devotions. The teaching incorporated biblical themes and this is evident in the works produced there by its many luminaries.1 Zulu sometimes shifted away from biblical themes or used them as a basis for commenting on social issues, as can be seen in other works by him in this Collection (See ReVisions, pp. 229, plates 207-210). His bold and imaginative use of etching techniques is especially evident in Attending the sermon (plate 32), a work that was undoubtedly based on his experience of religious life at the Centre. The strong, almost white stalactite-like forms in the background, which evoke a sense of spiritual emanations, were created by the application of stop-out varnish onto the hot etching plate and possibly allowing it to run. Aquatint resin dust was also carefully applied to the plate in certain areas to create a variety of light and dark effects. The darkest of these areas indicate where the acid would have bitten into the etching plate at its deepest. The linear elements bear evidence of being drawn into the stop-out varnish with an etching needle and time in the acid bath rather than any use of the more direct drypoint technique. The Fluit [sic] player (plate 33) makes emphatic use of aquatint applied in a coarse technique. The lighter areas, such as the player’s hands and face seem to have been highlighted through a technique of burnishing the plate in these areas to render it smooth again and less likely to hold ink in the printing process. See Mduduzi Xakaza. 1999. ‘Vuminkosi Zulu: Social and biblical themes in his sculpture and graphic work’ in South African Association of Art Historians: proceedings of the 15th annual conference: University of Natal, Pietermaritzburg, 24th-26th September 1999. p.172.